Gov. 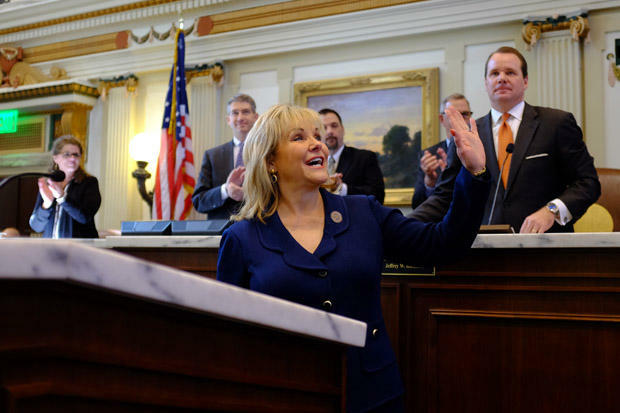 Mary Fallin has directed the Oklahoma Department of Transportation to speed up bidding on county infrastructure projects and find more ways to support recovery efforts in light of widespread damage after flooding throughout the month of May. 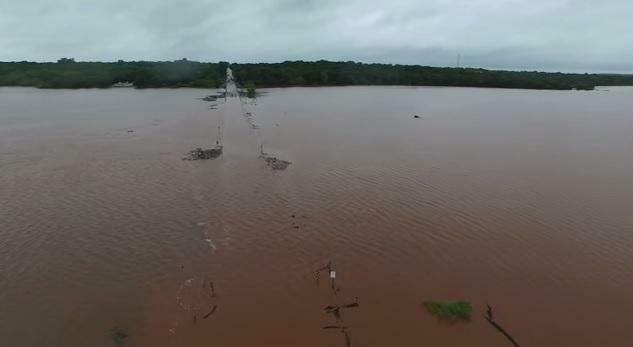 Aerial footage of floodwaters covering Alameda Street as it crosses Lake Thunderbird in far east Norman on May 24, 2015. Fallin says some state lawmakers have asked her to redirect money from Oklahoma's Rainy Day Fund to county infrastructure projects, which she doesn't have the legal authority to do. Dozens of roadways are still underwater across the state, and Fallin has declared a state of emergency for all 77 Oklahoma counties. Oklahoma Department of Emergency Management Director Albert Ashwood said Wednesday as he toured flood and storm damage in Purcell and the Lake Texoma region the full extent of the damage won’t be known until the floodwaters recede. Randy Robinson with the Association of County Commissioners of Oklahoma says the money is designed to replace dilapidated and dangerous bridges across the state. "That have been around in the 20s and 30s and 40s that are just no longer capable of holding up the loads and holding up the traffic." Robinson says Oklahoma remains an agricultural state which is dependent on getting products to market. 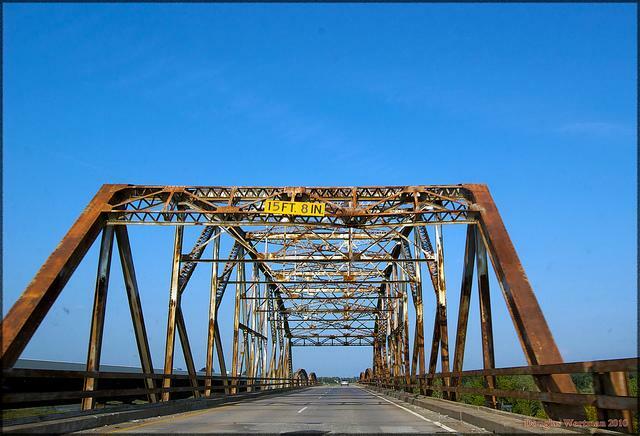 "We drive a lot of the deficient bridges in Oklahoma. 80 percent of the deficient bridges are on the county highway system, and so we're just trying to get them fixed and keep them safe for everyone." He says the recent rains are adding insult to injury as the flooding helps aid in the deterioration of the state’s rural roads and bridges. In the meantime, state Rep. Jason Murphey (R-Guthire) wants Fallin to veto the state budget because of those transportation cutbacks. In a post on his website, Murphey said motor vehicle taxes are a user fee for roads, and that should be used for repairs, rather than raided for other purposes. The Oklahoma Department of Transportation will be playing primarily defense and little offense next legislative session, said Executive Director Mike Patterson Monday. The department’s legislative game plan, he said, came after discussions last session that threatened to reduce funding to the state agency. 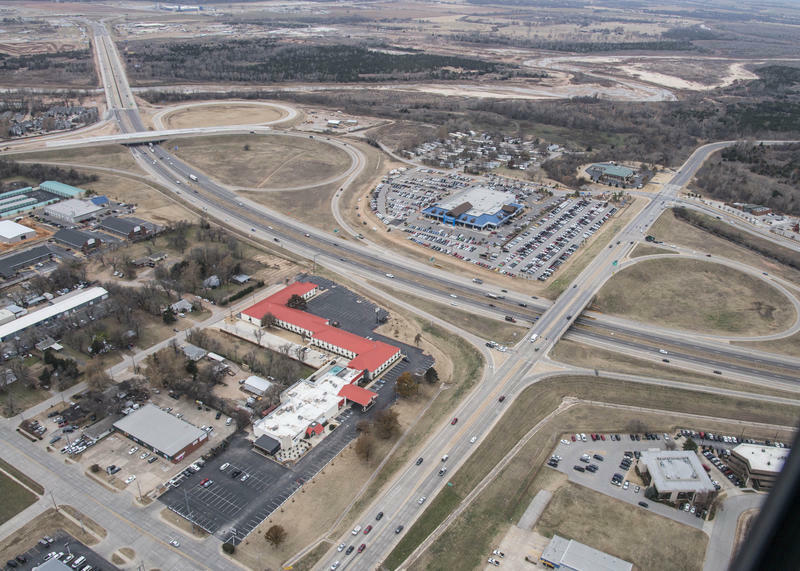 Oklahoma Department of Transportation Director Mike Patterson praised the five-year County Improvement for Roads and Bridges (CIRB) construction work plan Monday during a Transportation Commission meeting. The CIRB plan, which was effectively created through the passage of House Bill 1176 in 2006, allows for county officials to suggest road and bridge projects to engineers, and ultimately the state, for completion. The plan will include structurally deficient county bridges.